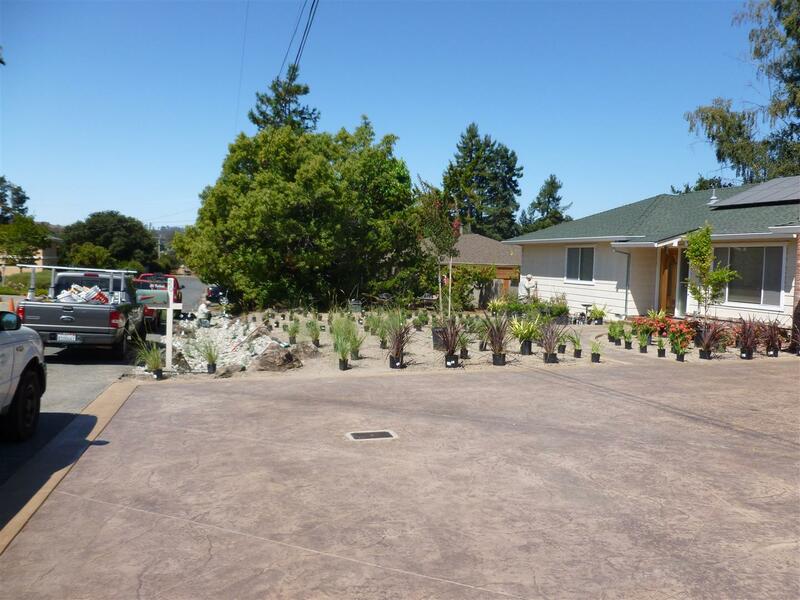 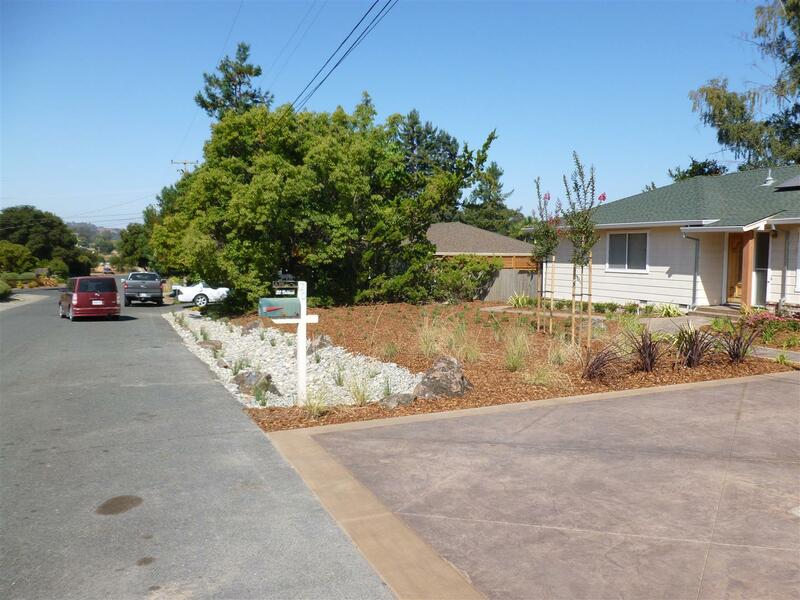 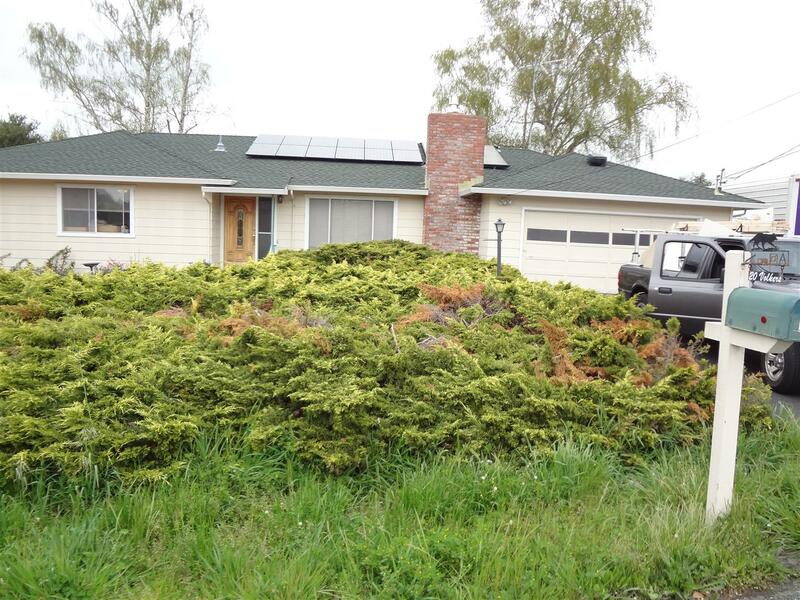 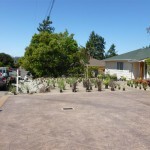 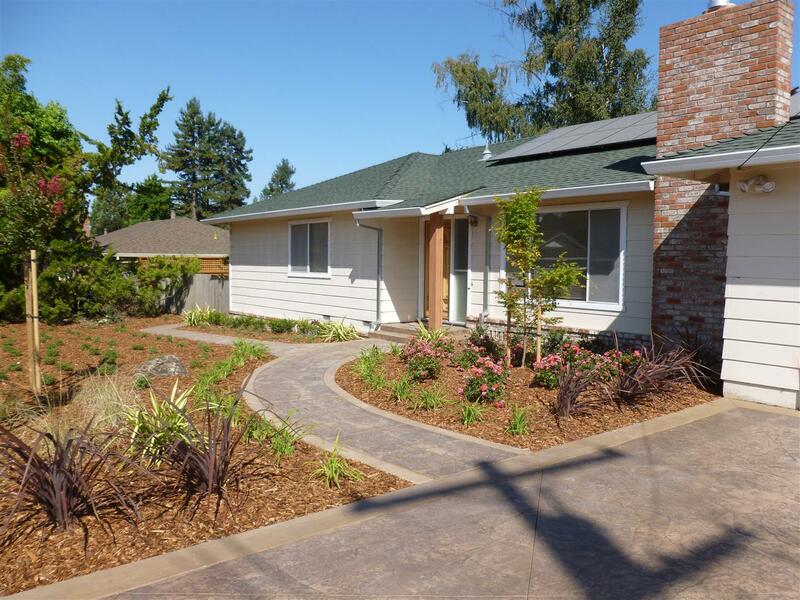 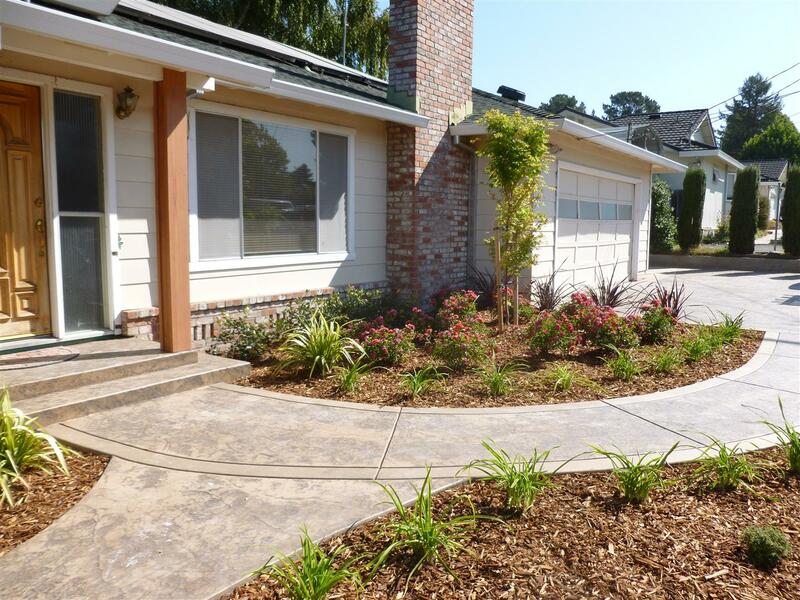 This project in Petaluma was in need of some help, with a large cracked asphalt driveway and a front yard that was being dominated by Juniper. 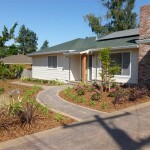 We removed the old driveway and an RV parking area and installed a new stamped concrete parking surface and entry pathways. 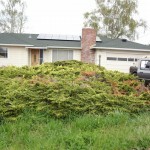 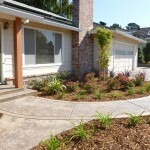 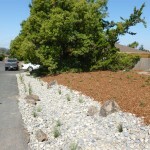 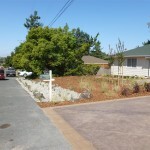 The junipers were removed and replaced with low maintenance groundcovers and grasses. 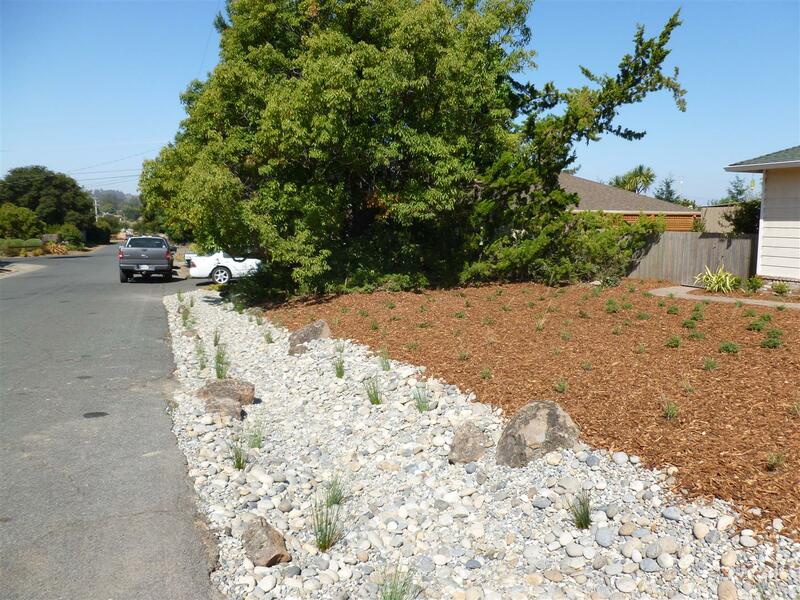 Lastly, the old nondescript drainage at the front of the property was regraded with boulders, cobblestone and California native Juncus patens.